NEW YORK , NEW YORK, UNITED STATES, March 19, 2019 /EINPresswire.com/ — Perks Group, one of the country’s leading affinity groups, offers national discounts on a range of products and services through their intuitive PerksConnect program. SUNY students, faculty, and alumni gain access to PerksConnect through the university and can save hundreds of dollars each year that can be used to empower their work or studies. 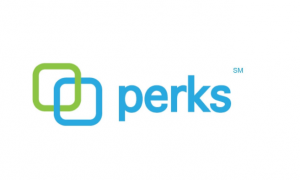 The Perks Group affinity program is a far-reaching network of merchants and companies that provide discounts and regular savings on products and services. Members gain access to top retailers and businesses who provide ongoing deals across the country, no matter which state members travel to. In the comprehensive PerksConnect program, members save on brand name items and well-known services that gives cash back in their pockets while they shop. The merchant network includes gas providers, grocers, restaurants, hotels, transportation services, entertainment, luxury items and more. It’s all accessible through an easy-to-use program where members build a profile and search through a number of means for available discounts. To improve the overall schooling experience, the State University of New York (one of the state’s leading educational institutions) automatically enrolls its students and faculty in the Perks Group program, which they retain access to later as alumni. Through the exclusive benefits offered through SUNY, PerksConnect members can access regular discounts in 13 NY regions as well as find seasonal savings across the country. SUNY is home to hundreds of thousands of students on their various campuses and currently enroll thousands of others through continuing education and instructional activities. In total, they provide schooling and educational services to over a million people at their 64 campuses. To cater to such a large body of students allows the university to enroll in affinity programs such as Perks Group that save their students on a range of expenses. range of academic, professional and vocational postsecondary programs.” In addition to their dispersed campuses and wide class offerings, they stick to their mission by providing cash back in their students’ and faculty pockets on everyday purchases through Perks Group. The SUNY Perks Card can be used to save money while shopping, but Perks Group Members can also access discounts through an 800-number, with a coupon code, or with a link when purchasing online. PerksConnect portals are accessible both online and in smartphone applications, which allows members to access deals while traveling (either in the 13 supported NY regions or across the states). SUNY students find many tools and resources to help them succeed while earning an education at the university, and Perks Group is pleased to offer them entrance into one of the nation’s fastest and farthest-reaching affinity programs to support their education.